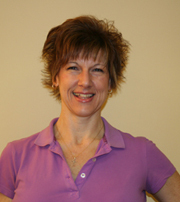 Kathleen (LMT, NCTMB) is an experienced massage therapist who is passionate about her work, is nationally certified through NCBTMB and licensed through the Virginia Board of Nursing. She specializes in offering Swedish massage, deep tissue and pregnancy massage, and she is a III Level Reiki practitioner. Kathleen has practiced her very personable and caring massage therapy for eight years and understands that massage allows the body to relax, renew itself, release natural pain relievers, boost the immune system, stimulate the body's circulation and help our clients become more "body aware." Schedule an appointment with Kathleen at Intentional Touch.